Much like the Miami neighborhood for which this collection is named, the Tropitone® South Beach Relaxed Sling Collection redefines modern cool. Designer Richard Holbrook takes Tropitone's contemporary outdoor furniture design to a new level. 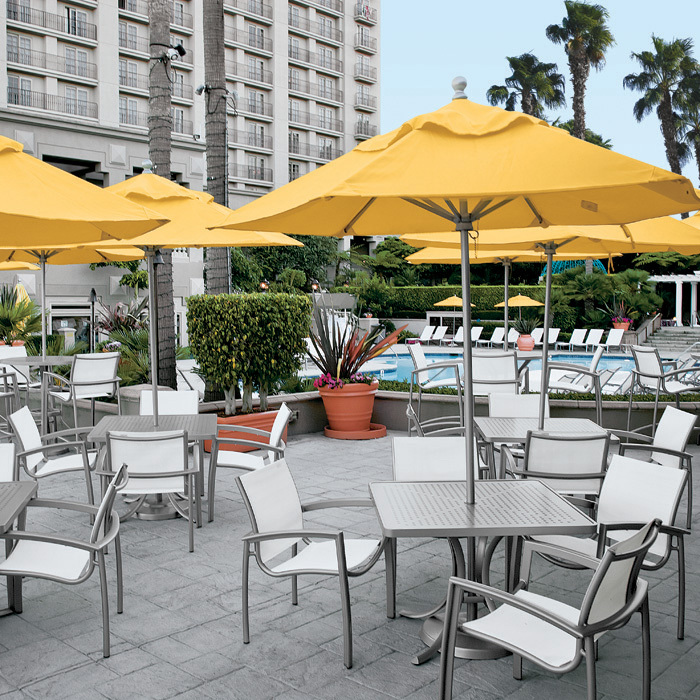 The Tropitone® South Beach Relaxed Sling Outdoor Seating Collection features more fabric in the seat and back surfaces for a more casual appearance and a more comfortable sit. The Tropitone® South Beach Sling Collection includes outdoor bar stools, dining chairs, sand chairs, and chaise lounges.